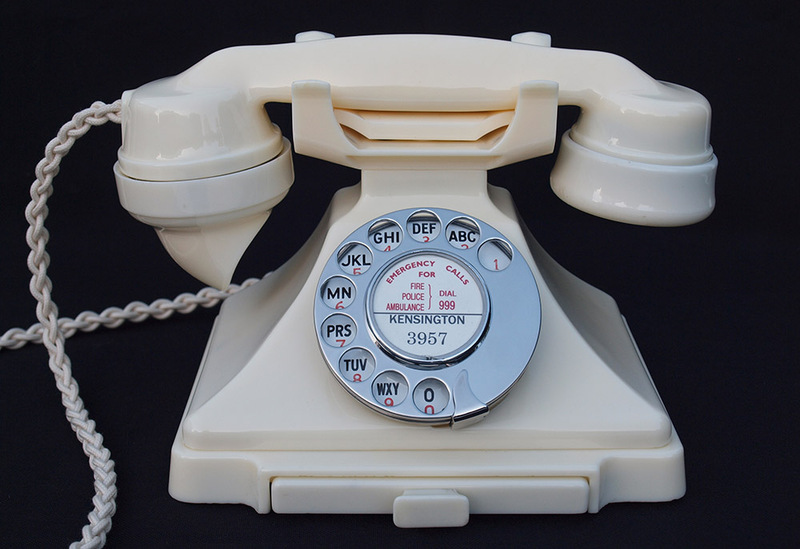 As you can see this a fabulous telephone. It has been totally stripped down and rebuilt after each part has been cleaned and polished. 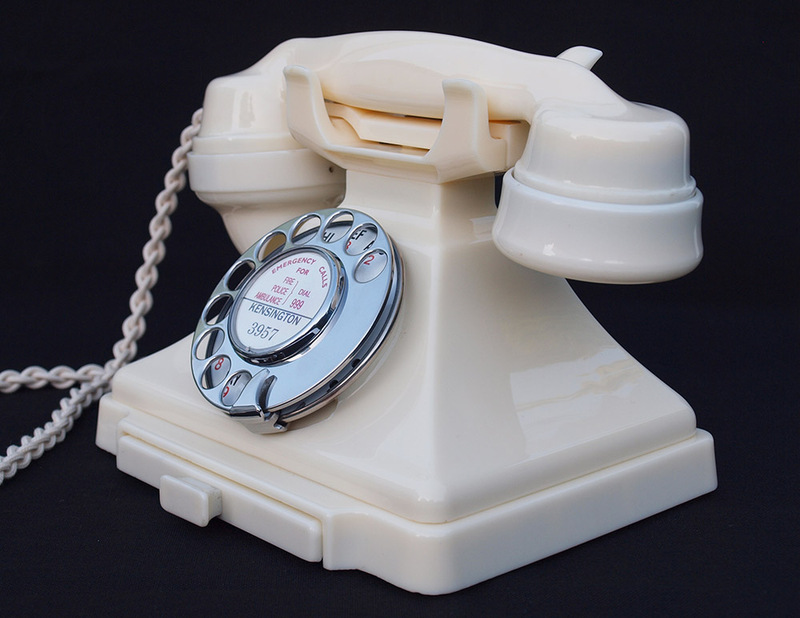 It has been fitted with a very best quality hand plaited all British manufactured handset cord, a GPO specification round plastic line in cord with a UK telephone plug socket. 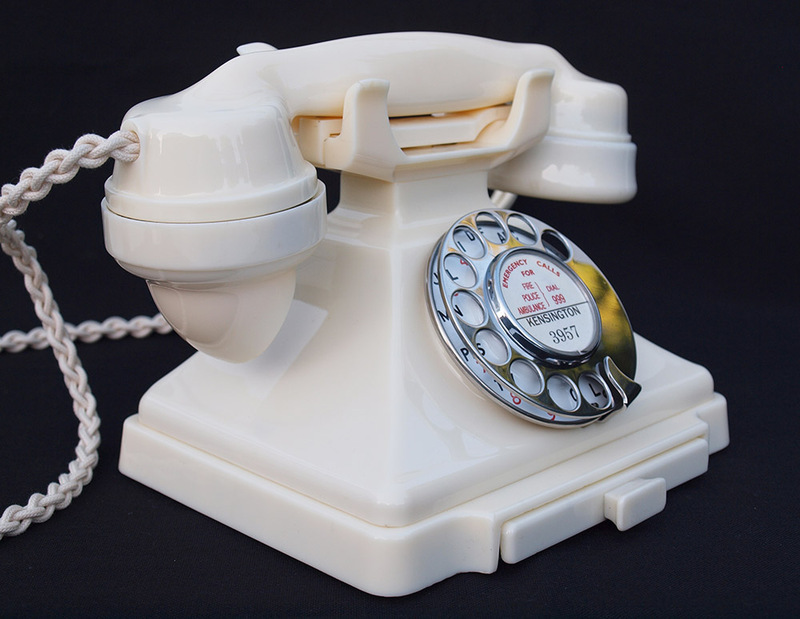 This telephone has been set up on a special line simulator and tested on our own BT telephone line. This model was not fitted with an internal bell but I can fit a small bell inside at no extra charge. A small bell has been fitted inside. Although not very loud sounds very nice and ideal if used in a bedroom etc. 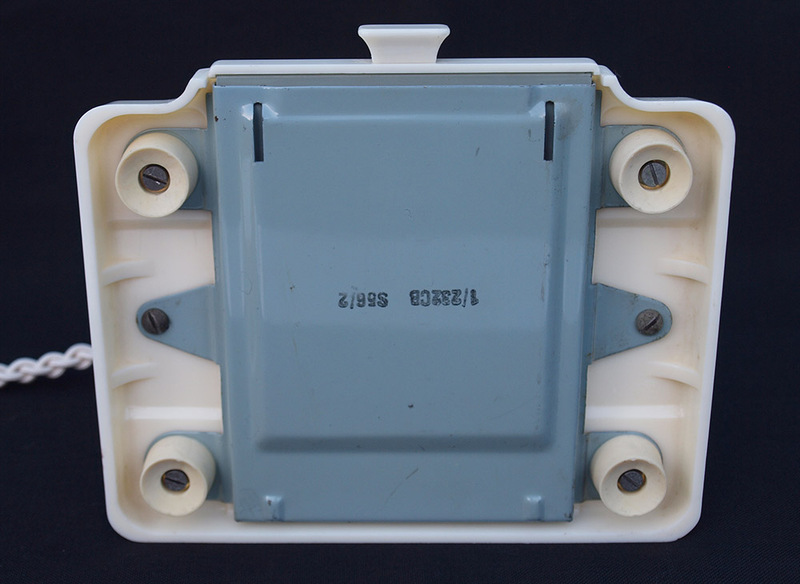 As you can see all the parts match perfectly and the internals and plastic parts are all in wonderful condition. The dial is a genuine GPO No 12 with stainless steel finger dial and rare enamel alpha numeric dial face. This has very slight fading to the red letters but still fabulous. I can replace with a perfect plastic alpha numeric face at no extra charge. 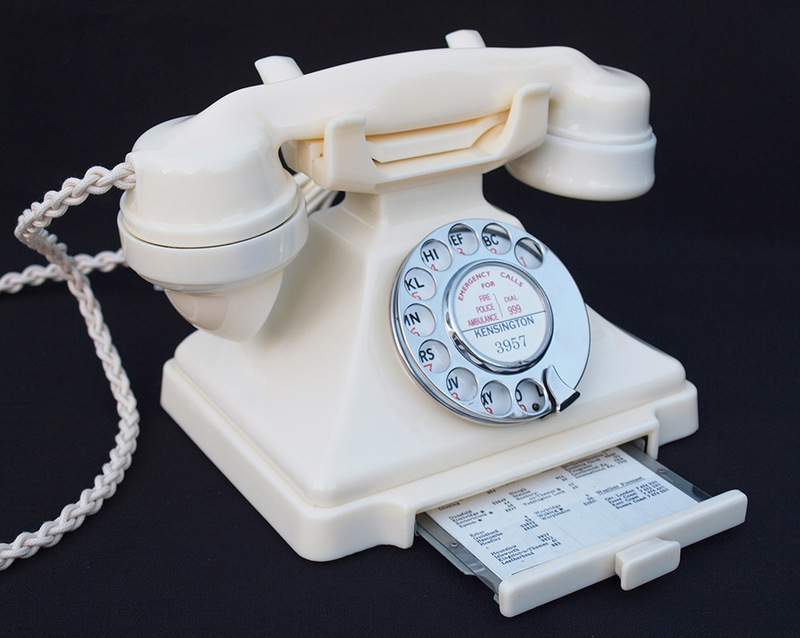 Just add in the checkout page that this is what you would like The handset is marked 1955 and the base 1956 which is perfectly normal. I can fit a dial label with your information at no extra charge.